Lima Rotary hosts police chiefs roundtable. Lima Police Chief Kevin Martin, Shawnee Township Police Chief Mike Keith, Allen County Sheriff Matt Treglia and Ohio State Patrol Lieutenant Tim Grigsby fielded questions about budget restrictions, the opioid crisis, body cameras and social media. They also encouraged young people to enter the law enforcement profession, "It's that individual person that you come into contact with that you're able to help improve their life, and that you're able to do something to build their quality of life, and perhaps save a life that makes what they do a very noble thing," said Martin. 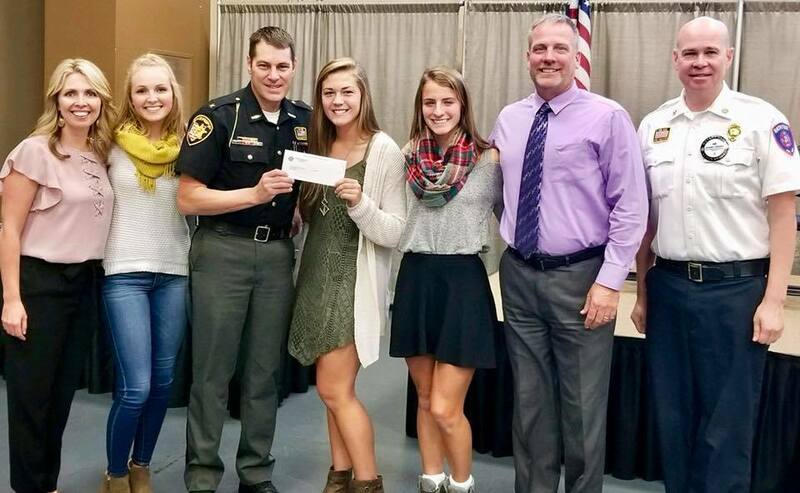 The Bath High School Interact Club was also at the meeting to give us an update on all the club's activities including the Drive Alive campaign, a traffic safety video they produced, and a fundraiser to help buy new equipment for the workout room at the Sheriff's Office. They presented a check to Sheriff Treglia at the meeting.